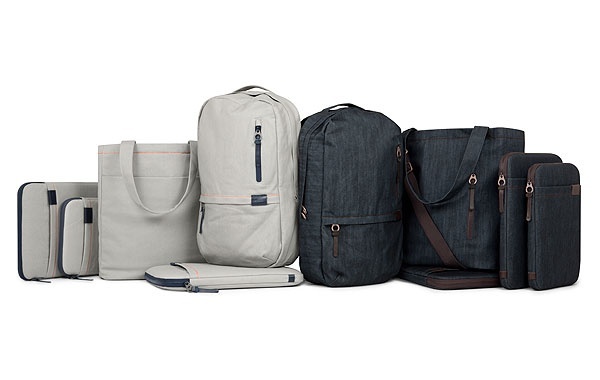 Incase’s Terra Collection includes a Terra Campus Pack, Terra Tote and Terra Protective Sleeve in 11â€³, 13â€³ and 15â€³ sizes. Half of the collection integrates natural materials such as rich brown leather into dark wash denim and canvas for a range of casual bags designed for easy packing and lightweight travel. The other half of the Tera Collection uses natural canvas and dark gray leather combined for a simple and modern look. Attention to detail is an added bonus as well when we see orange stitching, quilted orange and chambray interior lining found throughout the collection which is available now in limited availability at the Apple Store.